Oscar Mayer’s mission to get a better hot dog in every hand doesn’t stop at making every one of our hot dogs better. 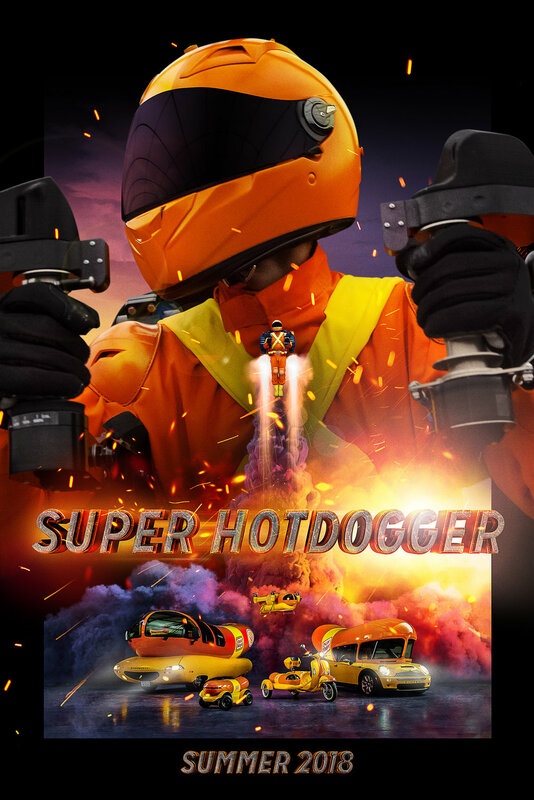 In the summer of 2018, we went to great lengths AND new heights to get our better hot dogs in every hand by adding Super Hotdogger, a jetpack-powered hot dog hero, to our Wienerfleet. All summer long our social media teased the arrival of the Super Hotdogger and tracked his progress as he made his way from one side of the US to the other and back again. What started in the Big Apple in the shadow of Brooklyn Bridge ended on the lakefront of Chicago where the Super Hotdogger delivered hot dogs to thousands of hungry beach goers. Because every project needs one. Although this does capture the 490 million impressions, it failed to capture the fact that I got jetpack fuel in my eyes during this project. Hooray jetpacks!